The term “Critical Infrastructure” refers to the basic backbone of a functioning society’s economy. Examples include facilities and services associated with power, oil, telecommunications, agriculture, water and sewerage, public health and transportation. However, to protect Critical Infrastructure fully, we need to consider the human aspect. This includes the people that work in these facilities and in many cases, the customers or users that rely on this infrastructure. Protecting against CBRNE hazards in and around critical infrastructure can be easily achieved with strategically placed detectors and complimentary light role response equipment. DE-tector is the latest drugs and explosives trace detection system with a unique twin tube IMS design enabling parallel detection of narcotics and explosives and a false alarm rate at almost zero. Brukers TIMON is a Rapid Alarm and Identification Device that utilises trusted IMS technology that can run continuously without operator intervention. It can monitor ventilation and air filtration systems or be mounted at strategic points. RAPIDplus is a stand off chemical detector and identifier that can provide protection out to 5 km enabling early warning and time to prepare. All Bruker equipment is supplied with operating software to Analyse and display the detected results. A mapping functionality includes dynamically changing symbols as well as point-and-click tools to get detailed data or to adjust the display. The software can show detection status in different aspects, ranging from visual alarms to event lists. All of the information is clear and unambiguous – a key feature for effective consequence management. 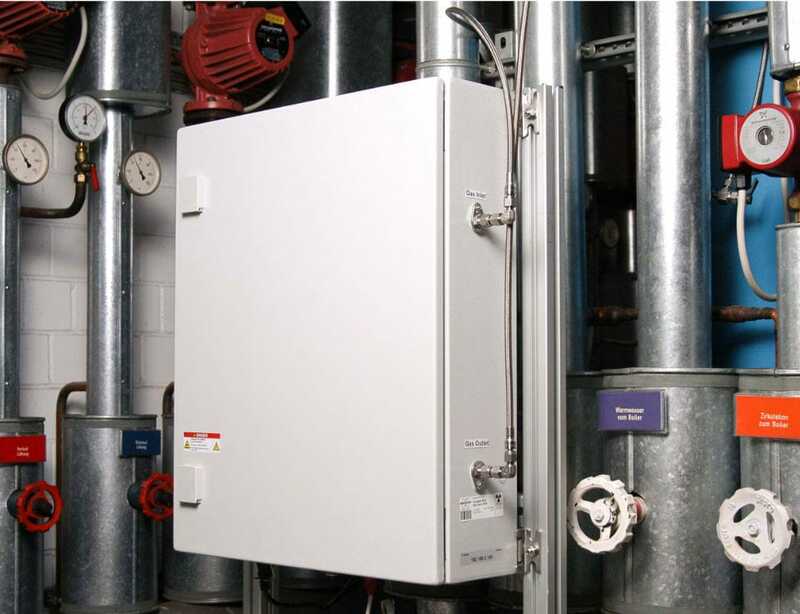 The Bruker TIMON (Toxic Industrial Monitor) is a wall-mounted point toxic gas detector for indoor applications. Powered from 100-240VAC mains, the system will operate for extended periods without attention; service times in excess of 18 months are the norm. The system features detection, identification and quantification libraries for chemical weapon agents and selected toxic industrial gases. The system is supplied in an unobtrusive metal cabinet without indicator lights or supplier’s branding so that it does not attract unwarranted attention. Installation of TIMON has been greatly simplified by design. The enclosure is designed to be wall mounted. Power connection is by means of a standard captive cordset. All data generated by TIMON, including Analysis Data and Instrument States is output over a standard Ethernet connection; each device having a dedicated IP address. Designed for 24/7 operation, maintenance checks may only be required after 18 months of operation; this is identified over the WEB Interface. No preventive maintenance is required. No calibration or calibration gases are required at any time during the life of the system. Designed for the detection of toxic substances in air. Contains an integrated sampling system. Response speed in the order of just a few seconds. Detection and Alarm data is provided to the operator over the integrated WEB interface. 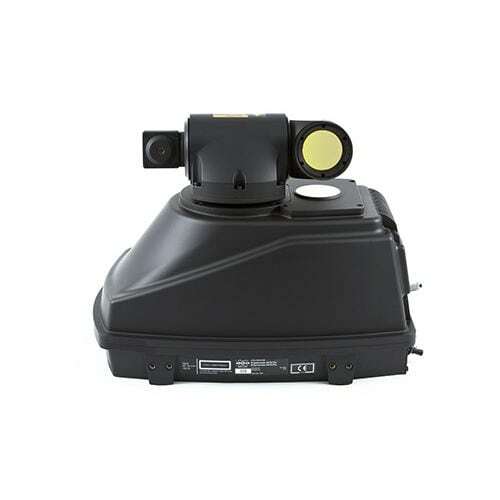 The RAPIDplus is a highly reliable and robust second-generation stand-off detector that can automatically Detect, Identify and Monitor all known Chemical Warfare Agents (CWA) and important Toxic Industrial Chemicals (TICs) at long distances. The one-piece self-contained systems provide real-time detection and can be used on any platform or infrastructure, with an extended substance library. The instruments utilises Brukers proven RockSolid™ flex-pivot interferometer and can be operated whilst static or on the move with no degradation in performance. The software RAPIDplus Control 2.0 VOM provides the user with enhanced visual surveillance and analytical displays overlaid on video and an increased detection capability. The RAPIDplus instrument has a real-time colour wide dynamic camera that supplement the intuitive operator displayed software.